The summer of July 2002, Lucy Calkins asked me if I would give the closing talk for educators attending the Early Childhood Reading Institute at the Teachers College Reading and Writing Project. I was honored and, truthfully, quite nervous. I’m not a pro at public speaking. However it ended up being quite an interesting experience because it led me towards reflecting on my life as a teacher. I just came upon my speech when looking through my files and I thought that I would share it with you. After spending more than half of my lifetime surrounded by children, this year I made a major change. I’m now working in an office where wonderful colleagues in a room full of books and computers surround me. So, last week it was a treat for me to return to The Childrens School West, a small public school annex in Brooklyn where I had worked as the teacher/director last year. The kindergarten teachers invited me to their “stepping up” ceremony and celebration. As their parents watched, the children sang some of their favorite songs, recited a kindergarten poem and performed a musical play that they wrote themselves, The Gingerbread Family, a witty take on The Gingerbread Boy. When I left the class, I found myself mysteriously crying. Thinking that I was having one of those occasional “fiftyish moments” I took some time to sit in the park across from the school to compose myself before going to my next destination, the fifth grade graduation at P.S. 321. P.S. 321 had been my second home since I began my teaching career there in 1968. It was wonderful to sit in the audience, surrounded by so many parents that I have known over the years, and to watch my former students who I taught in kindergarten and first grade proudly receive their diplomas. I could so well remember each one of them on their very first day of school. I remembered their parents too, who looked as tentative as the children whose hands they were holding! At the graduation I found myself sitting next to my former student Kalyn’s father. We reminisced about how he had to hold his hand over hers to help her write her letter K as she signed in on that first day of school. Once again, I found those tears welling up. As I tried to hold them back, I had a personal epiphany. I realized that I was crying because I knew what an incredibly lucky life I have had. How many adults have the opportunity to spend their lives working in a profession that is so satisfying, challenging and important to so many people? When families bring their children to school, they are entrusting us with their most precious possessions. As a parent, and now a grandparent, I know how difficult it is to “let go” and transfer some of my responsibility for my child to another adult, much less to a total stranger. Because of this, it is so important for educators to create, in their classrooms, a second home that is comfortable and welcoming to the child and to the child’s family. Our classrooms need to have a voice that says, “I welcome you to this exciting place where you are a very special and important part of a caring community.” We can give this message to children even before they enter school by sending them a friendly letter at the end of the summer, introducing ourselves and telling them about some exciting project that the class will be working on together. We can involve them in this project by suggesting that they collect pictures from magazines and draw representations of their ideas. One year I wrote to my future kindergarten class and told them about a bridge study that we were going to begin together with our fourth grade reading buddies. I asked the children to start collecting bridge pictures and, if they actually saw a bridge, to sketch it and bring the picture to school with them on the first day. I also wrote to the parents and began involving them in our classroom plans by sharing some of my ideas for our class study. When the children arrived on the first day of school they came with postcards and drawings in their hands. They were full of stories to share about the bridges that they saw during the summer. Parents had photos, trip suggestions, and names of family members who had bridge expertise to share with the class. We were already a community and the year had just begun. Our classrooms need to have a voice that says, “In this room you will be an explorer, an artist, a musician, an architect, a mathematician, a writer, a reader and a scientist.” We need to physically arrange our rooms so that there are areas where children can explore, dramatize, build, create and experiment. We need to value these explorations by scheduling prime time for them in our daily plans. One half hour at the end of the day gives one message about what we value. A well-planned hour in the early afternoon (in the morning if you can be so revolutionary) gives a very different message about the importance that we place on children taking responsibility for the direction of their explorations. This exploratory time, or Choice Time as it is sometimes called, is the perfect opportunity for connecting all of the strands of our curriculum. In my block area we had baskets of books about bridges, photographs and drawings of all kinds of bridges, a Big Book of one of our special fiction bridge stories, The Three Billy Goats Gruff, that children used for dramatic re-creations, a large pad for children to draw plans for bridge construction, blank labels to use for revising their building plans, and cards and paper for labeling and writing about their finished bridges. On the wall we had a growing list of bridge words that children were constantly referring to. 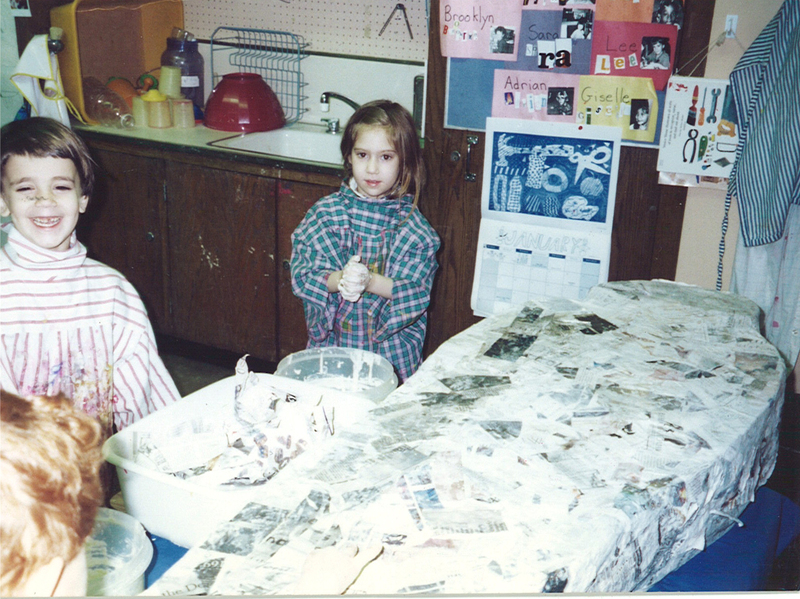 In the Art Center, we hung art reproductions with images of bridges in them and all sorts of materials for children to construct, paint and draw with. Children labeled their constructions and wrote descriptions of their artwork. We were becoming bridge experts in many different ways and children had a great variety of opportunities to direct their own learning. Our classrooms need to have a voice that says, “We understand that you are a literate person who can already do some reading and writing. We will all be helping you to learn more about reading and writing and we will all be learning that together.” On the first day that children come to school, I ask them to sign in on our class list and to find their name card and turn it over to show that they have arrived and are a part of the community. I celebrated all of their attempts to write their names and assured parents that even scribbles were acceptable for the first day of kindergarten. We need to show children that we accept and value their approximations while we patiently help them take steps towards conventional reading and writing. We are all now participating in this intensive Reading Institute and, of course, we are all concerned with providing the best reading, writing and word study instruction for our children. We want to work towards helping our children meet higher standards of literacy and that is a big challenge for all of us. We want to be sure that in our classes we are planning for a balanced and comprehensive literacy program. However as we do this, it is important that we not lose sight of the bigger picture. Our balanced literacy should be a part of an even larger BALANCED LEARNING ENVIRONMENT. We want our children to have grand minds. We want our children to be curious about the world around them. We want them to understand that there are so many incredible things to learn and so many different ways of learning. We want to create classrooms where children can discover the serendipitous moments that make everyday experiences become thrilling and worth looking at more closely. We want to provide an environment where children feel safe taking risks and chasing dreams. In their book Best Practice: New Standards for Teaching and Learning In America’s Schools, Steven Zemelman, Harvey Daniels and Arthur Hyde suggest that there are six basic structures that are implemented by exemplary teachers. These structures are Integrative Units, Small Group Activities, Representing-to-Learn, Classroom Workshop, Authentic Experiences, and Reflective Assessment. We need to think about ALL of these structures when we design our curriculum. If we plan a day where children have a reading and writing workshop, appropriate word study, and where they are given many opportunities to hear and discuss stories that are read aloud to them, we are empowering children. We are giving children the tools that they will need for recording the investigations and discoveries that they make during Choice Time and when they are exploring the natural world around them. If we encourage children’s curiosity and show them that we value their explorations, our curriculum may take unexpected and exciting turns. One year, after vacationing in London, I brought some postcards in to school to share with the children at meeting time. One particular card, a reproduction of the famous Rosetta Stone, fascinated a group of children and they asked if they could look at it with magnifying glasses during Choice Time. They were very curious about the hieroglyphics. I was able to find a hieroglyphic alphabet chart in my closet. This led to an activity that they thought of. They wrote their names and other familiar words in hieroglyphs! When the class went to the school library, the children asked the librarian for books about Egypt. What began as a small group exploration was catching on and spreading throughout the class. Children began to find pictures of Pyramids and Sphinxes. They brought these pictures to the block area and attempted to construct them with blocks. They made signs and descriptions and taped them to the Egyptian buildings. Picking up on this unexpected excitement, I arranged for a trip to the Brooklyn Museum where we visited the Egyptian collection. When we discussed what we observed on the trip, the children asked if they could try to make a mummy case like the one in the museum. For two weeks, different groups of children worked on constructing a paper mache mummy case during Choice Time. Another group of children created a story about the imaginary person in the case. 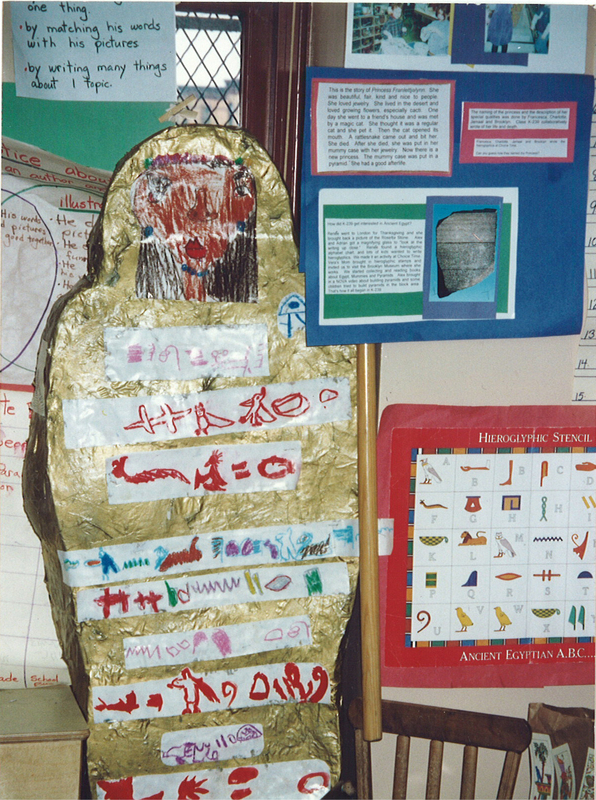 We took the completed five-foot mummy case out to the schoolyard and spray painted it gold. Then at Choice Time four children used the hieroglyphics chart to “translate” the life story on to paper strips and glue it to the mummy case. Did the children become “experts” on ancient Egypt? I doubt it. What they did learn, however, was that when they had an interest in something, they could read, explore and expand their knowledge in many different ways and in many different places. I hope that is what they carried with them when they left my class. I hope that they left my class with a passion for learning because if they have that passion, and if we, the educators, have given them a nurturing, inspiring learning environment and well-balanced literacy instruction, then they have the tools to succeed. Carlina Rinaldi, the director of the municipal early childhood program in Reggio Emilia, Italy, said that we need to go into our classrooms with a road map and not with a train schedule. When we travel with a train schedule, there is no time to tarry between stops or we will miss the train. If we travel with a road map, we know the road to our destination but we can determine when we will hurry and when we will slow down. We can take detours if something interests us, but to get to our destination, we must then return to the main road. This seems like a much more interesting trip. This seems like a trip that I would cherish and remember. So I hope that in September you will put the train schedule in your back pocket and take out your road map. Create a curriculum that will allow you and your children to see many sights, enrich your lives and have a glorious year together that will never be forgotten. It’s now 11 years since I gave that talk. We now have Common Core Learning Standards, Teacher Evaluations, the Danielson Framework and a race to the top. Would I change what I said in July 2002? I think not! This entry was posted in Investigating Choice Time: Inquiry, Exploration, and Play and tagged Arthur Hyde, Best Practice: New Standards for Teaching and Learning in America's Schools, Brooklyn Museum, Danielson Framework, Harvey Daniels, race to the top, Rosetta Stone, Steven Zemelman, The Childrens School on July 23, 2013 by Renee. For me, the first day of kindergarten would always begin weeks before the children came to the classroom door. Besides spending the summer mentally and physically planning for the year ahead, I usually spent about two weeks arranging and rearranging furniture, painting old bookshelves, washing toys, vacuuming carpets and covering pinpricked bulletin boards with bright new paper or fabric, getting my classroom ready before school officially opened. Some of those days I just sat quietly, imagining what it would be like with 24 or 25 children busily playing in the different centers or sitting with me on the carpet singing This Old Man. 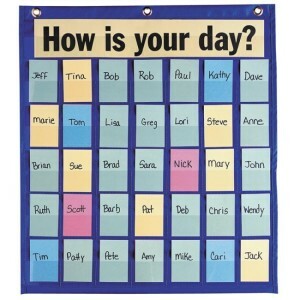 -Put magnetic name clips – on board? on chart board? Whew! This was all to do in the morning before school began! My major goals for the first few days of school were to help children and parents feel comfortable with me. I also wanted to be sure that the children ended the day feeling like they couldn’t wait to come to school the next day because it was such an exciting place to be and I wanted to make parents excited because their children couldn’t wait to come back to school the next day! My first day of school really began on the summer day when I mailed a note to each student, introducing myself and telling them about some of the exciting parts of the kindergarten year ahead for them. One year, when I knew that we would be doing a bridge study with our fourth grade buddies, I wrote that we were going to become “bridge experts.” I asked the children if they could find or draw pictures of bridges that they might see over the summer. I sent a piece of blank paper along with my note to support this and gave them my address at school just in case they might want to mail me any pictures. 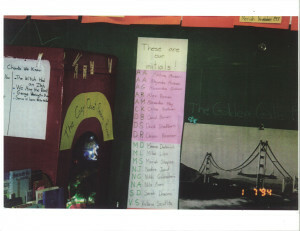 When the children came into the class that first school day, they were greeted by a bulletin board filled with all of the bridge drawings, photos and cut out magazine pictures that I received in the mail. The letter went on to describe certain routines such as the daily schedule, lunch routines, supplies that children will need, how we celebrated birthdays and information about trip procedures. I wrote something about the work that we would be doing with our 4th grade buddies. I gave some information about the reading, writing and math that we would be doing but left the specifics for our upcoming curriculum meeting. At that meeting I would have the opportunity to expand on all aspects of the curriculum and answer parent’s questions.) However, I always wrote something about how Choice Time and Inquiry Projects were the heartbeat and core of my kindergarten program. What children and families saw when they first walked into the classroom was (and still is) important in setting the tone for the year ahead. I thought carefully about what the room would “say” to the children and their families. These “visual comments” helped to guide me in my room arrangement and in what I put up on the walls to greet the children. Surprisingly, it’s in a 1983 New York City Board of Education handbook for teachers, Getting Started in the All-Day Kindergarten, where I found significant information about the importance of involving parents in the kindergarten program. Some words from this out of print book are “Active parent/home involvement is an essential component of a successful kindergarten program. 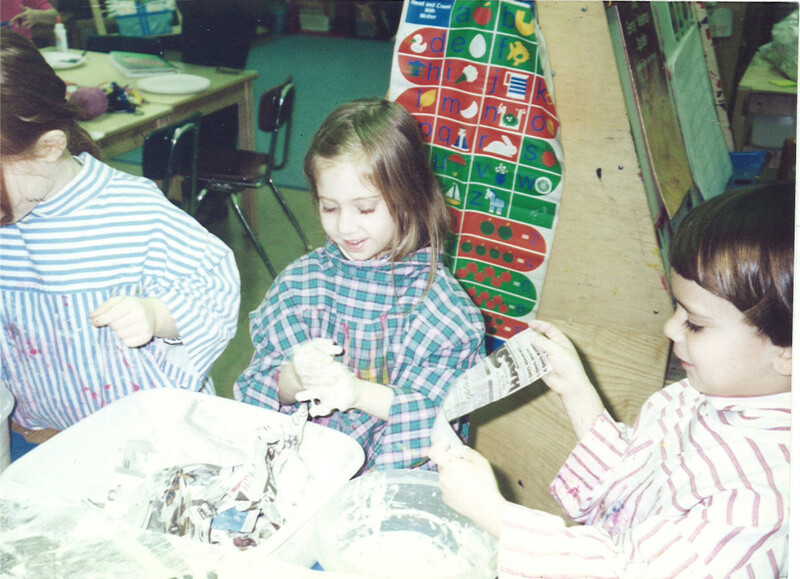 In the world of the five-year old, adults in the home environment act as both significant role models and teachers…Teachers can help parents become involved in the educational process in a number of different ways.” During the course of the school year, I provided many ways for both working and non-working parents to be a part of the life of the class. I believed strongly that a parent or caregiver’s first impression of the classroom and of me had to be positive and inviting. That’s why I was so careful to set up the room so that it could provoke a positive parent-child-teacher dialogue for the year. ∗ You are a literate person who can already do some reading and writing. We will all be helping you to know more about reading and writing and we will all be learning together. ∗ In our community we celebrate each other’s achievements. ∗ Because we are a community, there will be times when we all come together to meet as a group. ∗ Because you are a unique individual, there will be times when you want a private place to be alone with your thoughts. ∗ We value and seek out each other’s ideas and we have places to meet together in small groups. ∗ We are a community that always shows respect and compassion for each other and for all living things. How did I set up a room that communicates these thoughts? What happened when the children came to school the first few day? I’ll try and answer these important questions in my next two blog postings. 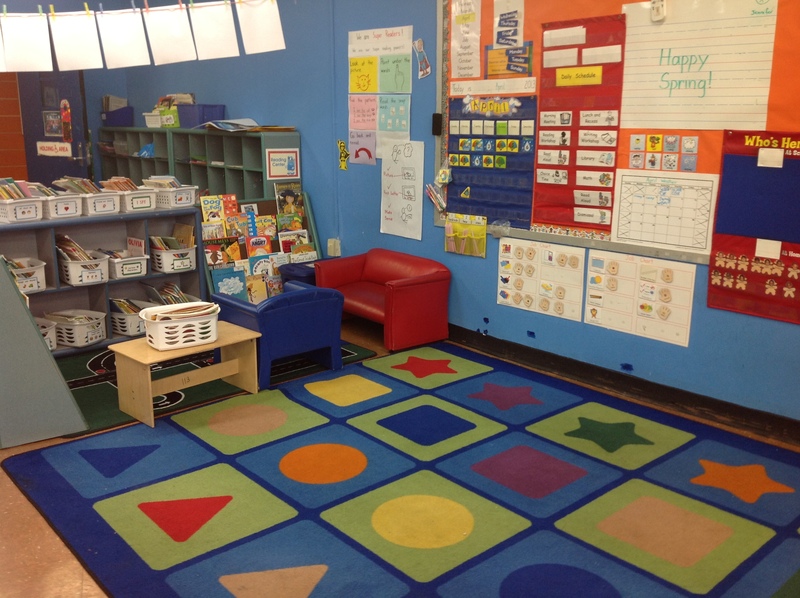 This entry was posted in Investigating Choice Time: Inquiry, Exploration, and Play and tagged caregivers, Getting Started in the All Day Kindergarten, parents, sign-in chart on July 18, 2013 by Renee. I emailed a kindergarten teacher that I worked with and asked her if she could write something to me about why she doesn’t use behavior charts. From my observations of her teaching, I think that she is quite is masterful teacher and I thought that you might want to read the very thoughtful response that she wrote back to me. behavior system that I’m not sure if you’ve seen. It’s in all of our classrooms. rewarding the wrong things & the wrong kids. just remind each other w/out even having to tell me. This entry was posted in Investigating Choice Time: Inquiry, Exploration, and Play on July 8, 2013 by Renee. In spite of the tumultuousness of caring for twenty to thirty children each day, teaching can be a rather solitary profession. Teachers are busy in their own rooms and rarely get the chance to visit the rooms of our colleagues, particularly during class time. I spent some time in Adele Schroeter’s 4th grade classroom, because her class and mine were buddy-classes, in Connie Norgren’s first grade room because for five years we did a modified version of team teaching and in Phyllis Allen and Bill Fulbrecht’s kindergarten class because we often planned together and combined our classes for periodic group singing. Those were pretty much the classrooms in my school that I was very familiar with. 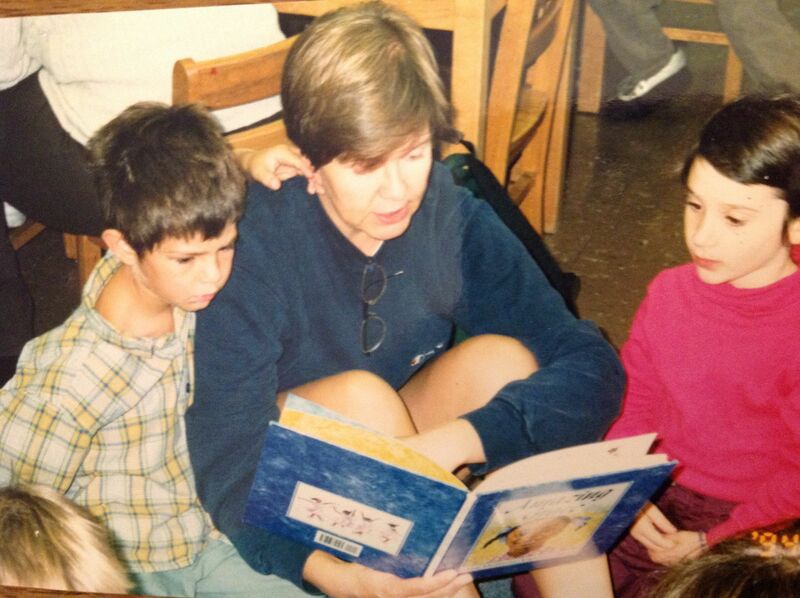 After retiring as a classroom teacher I began working as a literacy consultant. 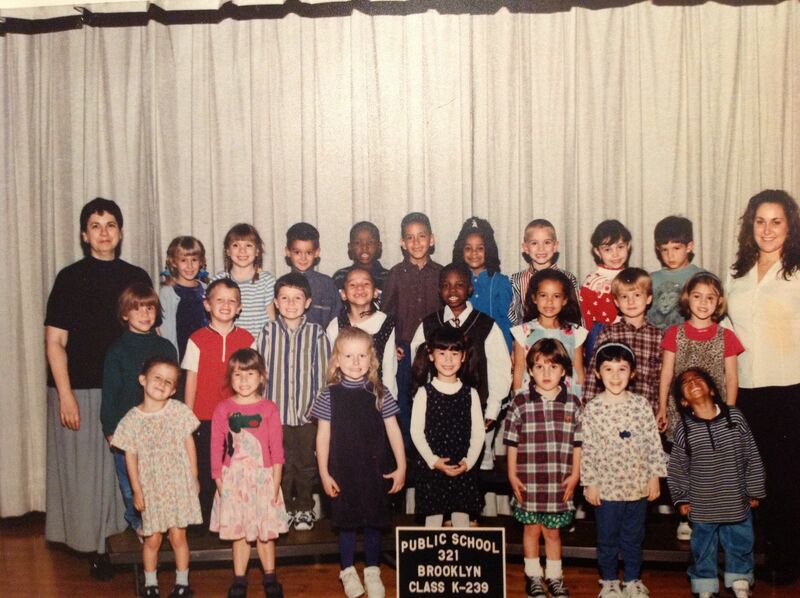 In this capacity, I have had the opportunity to visit classrooms in all different communities in New York City. There are so many times when I wish I could go back into my classroom to try out some of the wonderful instructional ideas that teachers shared with me on my visits. 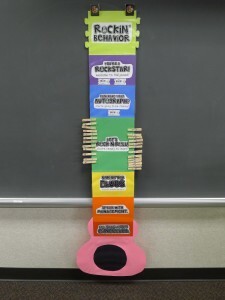 However, there’s one thing that I saw in so many classrooms that both surprised and upset me – all different forms of behavior management charts. The use of behavior management charts in early childhood classrooms seems to be much more common than I ever realized. Some charts involve stars or stickers. Many of them seem to be color-coded. From what I can gather, the goal of most of them is to keep children under control. I definitely understand how important and challenging it is for teachers to maintain a calm atmosphere in the classroom. It can be disturbing for the teacher and for the students when there are children who constantly exhibit disruptive behaviors. How well I remember those evenings when I returned home from work, carrying in my head the name and image of some particular child. After a day at work, I could still hear the voice of a child who spent a good part of the day pushing me to the edge of my patience! As challenged as I was ten years ago, today’s teachers have so much more that they must deal with. In my observations of kindergarten, first and second grade classes over these past few years, it is evident how many more children there are who might be labeled “discipline problems” or, even more extremely, children with ADHD. Today’s educators are faced with a myriad of unfair obstacles. Teachers who once worked with teaching assistants are now, because of budget cutbacks, without any classroom help. In addition to adjusting to new curriculum demands they also have larger classes. Most classrooms include children with diagnosed and undiagnosed special needs. I think that it’s impossible not to consider the impact that the academic take- over of the early childhood curriculum, concurrent with the implementation of the Common Core Learning Standards and benchmarks is having on the school life of the young child. This phenomenon has created teaching schedules filled with long stretches of sitting, listening, reading and writing. There are few opportunities for children to experience play and exploration, creating a climate in which an increase in behavioral issues is no surprise. The Scottish psychologist, R. D. Laing believed that some mental dysfunctions that patients with psychosis exhibited were often understandable responses to difficult life experiences. Perhaps we can make an analogy and say that the aggressive classroom behaviors of some active young children are reactions to some of the developmentally inappropriate practices that fill their days. Taking all of this into account, I understand the appeal of using a visual rewards system for keeping behavior in check. This might, on a very short term, have some positive effect on controlling classroom behavior. However, there are some important questions to be asked. Are children learning to internalize acceptable social behaviors with this chart or are they only exhibiting these behaviors in exchange for a reward? Are we, unintentionally, labeling children the “good” children in the class and the “bad” children in the class? Are the more dutifully behaved children becoming anxious about the possibility of being moved to a negative spot on the chart? Are the charts giving teachers important information about why children are acting out? (Perhaps a child is bored with the work. A child might have had a traumatic incident at home that evening or morning. A child might be hungry. A child might physically need more opportunities to move around freely.) Is this chart helping to develop a caring classroom community? The use of public behavior tracking charts can, in effect, act counter to the goal of creating the kind of community that I think most teachers desire. 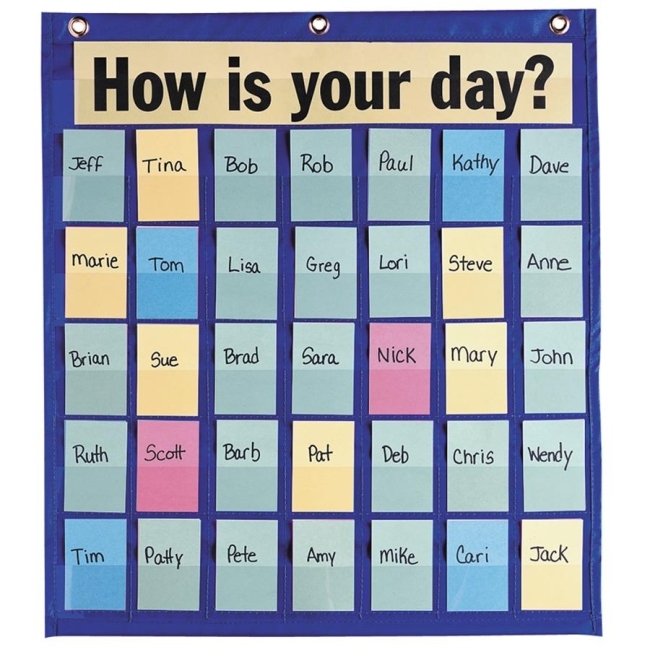 Rather than giving children a positive message, tracking children’s behavior on a chart displayed on a bulletin board sends and unspoken negative message that someone in this class is likely going to misbehave. Children begin to focus on where they are on this chart and how they compare to other children in the class. They think about who is always “bad” and who is “good” in the room. An element of stress is passed on to all the children. Children who tend to be more physically active begin to develop negative self-image because their behavior invariably puts them in the “misbehaving” category. This public display that rates a child’s behavior becomes a means of possibly causing shame, stress, and feelings of defeat. I have noticed that the classrooms I visit with the most stable and calmest communities are classrooms where teachers have not used behavior charts or other methods of doling out rewards and punishments as a means of maintaining classroom order. For example, when I bring visitors to Pam Roque’s kindergarten classroom at P.S. 142 on the Lower East Side of Manhattan, everyone is immediately impressed by the noticeable independence and cooperation among her children. When I was last in her room, I looked around for a behavior chart but couldn’t find one. I asked Pam about this and she said that she never used one. It just wasn’t the way that she wanted to conduct her class. I did notice that the room was arranged and conducted so that the children would develop independence. The room is not cluttered with teacher’s paraphernalia and centers were set up so that children could access materials easily. At class meetings, it’s easy to sense how interested Pam is in children’s comments and observations. She is a good listener and gives children time to think about their questions and answers. This respect for everyone’s contributions is a positive role model for the children’s own behaviors. 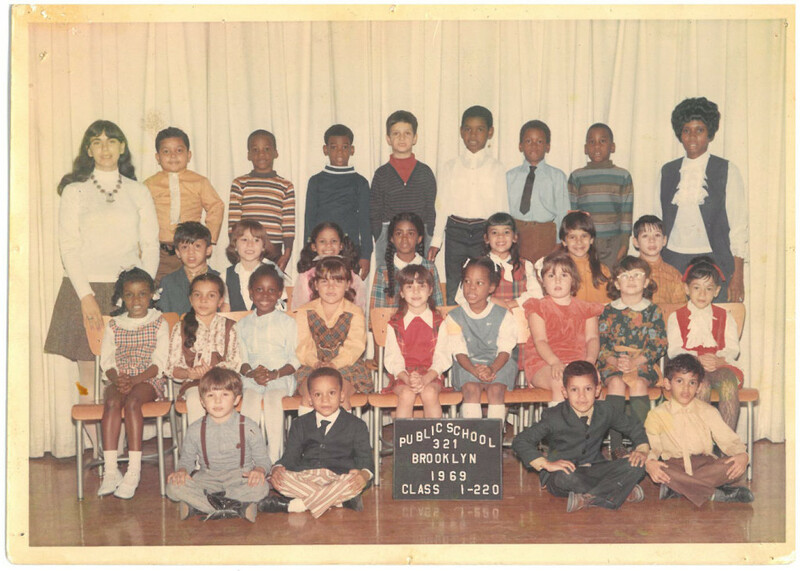 My first year as a literacy consultant, I worked in a public school in the Chelsea area of Manhattan. Being new to this work, I felt rather anxious and not quite sure yet about the parameters of my role. One of my first assignments was to help a new first grade teachers learn how to conduct guided reading groups. The teacher, Rob Catlin (now the principal of the River East School, a progressive NYC public school), had a very challenging class. Many children were living under difficult conditions and some began the day exhibiting angry and aggressive behaviors. Rob, however, had received training in Responsive Classroom strategies, which he employed at his morning meetings. At first I would impatiently wait for these long meetings to end so that we could get started on our reading work. However after sitting through a few of these morning sessions, I could see the wonderful community building that was taking place and literally see the children begin to relax and smile. They shared important information about themselves and commented on each other’s reflections. They were becoming a caring and respectful community. 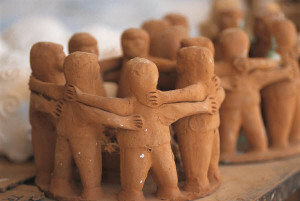 In my own classrooms I never had a particular program that I followed but I did have some routines that might have encouraged empathy and cooperation. . In place of a list of rules, we learned and discussed in great detail the poem Hurt No Living Thing by Christina Rossetti. This poem became the basis of our code for classroom behavior. The simple words of the poem really contained everything that we needed to know about what could and couldn’t be done in school. What does it mean to hurt someone? Have you ever been hurt? How did it feel? Have you ever felt hurt inside? What do you think made you feel that way? When we opened up this kind of conversation, we really were talking about sensitivity and respect. The words to the poem were, of course, revisited often during the school year, each time with greater depth of understanding. About halfway through the school year we would begin collecting “Acts of Kindness” which were dictated to me or written by children and posted on a classroom bulletin board. 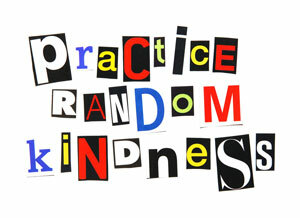 At first, noticing kind acts was a big challenge for the children. They wanted me to post their own acts of kindness but on this board we posted acts of kindness that we noticed others doing. After a while everyone was on the lookout for signs of kind acts AND they wanted others to notice their kind acts! The board kept filling up with sticky notes describing different kind acts in our classroom, in the lunchroom, in the playground, in the schoolyard and….every once in a while, acts of kindness that they noticed at home! Each week children took on different classroom jobs. One of the jobs was to be the class comforter. The child who had that job would comfort a classmate who was in distress. This could be someone having separation issues, a classmate who fell in the schoolyard, or someone who was having difficulty calming down in class. The act of being a comforter didn’t happen automatically for all children. We did much role-playing, discussion, sharing of how they were comforted by parents, and also what made them feel better when they were upset. We even had a “Comfort Song” that my good friend and colleague, Connie Norgren, taught me. (What do I do when my ____________is crying? What do I do? What do I say? I take my ______________in my arms and hold him) We sometimes even sang about comforting our pets or our grandparents. The children took this song very seriously! My classroom also had our Cozy Reading Room, a painted refrigerator box with an arched door cut out and some nice soft pillows to sit on inside. Two children sometimes snuggled up in here to read books or share stories with each other. This also became a spot where the class comforter would do his or her magic to comfort the child in distress. I would like to say that I didn’t give children time in a “time out” chair but that would be an untruth. I did follow a rule that I once read somewhere, “as many minutes as the child’s age.” Nevertheless, to my horror, I once overheard a conversation that had a profound effect on my use of time outs. A parent was picking up a particularly active child at the end of the school day and she asked him how his day was. “Really good,” he told her. “I didn’t have any time out.” Oh my! I became very aware of not overusing this strategy again! The clinical psychologist, Dr. Laura Markhan wrote in an article to parents the “Timeouts make kids see themselves as bad people, …don’t help kids learn emotional regulation.” Mea culpa! If I could only go back and do things differently…but how? Nikki Sabiston , in her blog entry, Why I Will Never Use a Behavior Chart Again, describes the Take-A –Break Space. The idea is that a child has an opportunity to cool down or remove him/herself from a stressful situation by going to some area in the classroom that is set aside just for this purpose. It’s non-punitive. 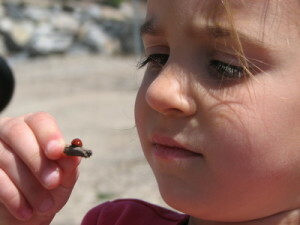 The child decides when he or she is ready to rejoin the group. It sounds like a reasonable, more sympathetic alternative to a time out chair and it carries with it the assumption that the child can reflect on his/her behavior and learn to self-monitor. Realistically speaking, there could be a time when a child might need an individual behavior plan, but this intervention certainly shouldn’t be punitive or long term. I had one opportunity to do this and it seemed to have successful results. Larry (not his real name) was a challenging child. He knew how to push everyone’s buttons. When he came to my kindergarten class he was repeating the grade. His former teacher passed on this information to me, “Larry has no interest in learning anything.” Well this, I discovered quite quickly, was not true. Larry was very bright, loved anything to do with mathematics, could stick with a project for long periods of time if he was totally engaged with it, but also had, it seemed, a lot of pent up anger and also difficulty controlling his temper. I stayed with this group of children for two years, kindergarten and first grade. By the middle of first grade Larry had worn me down. I knew that I had to try something new with him. Here is what I already knew. We were a very tight classroom community. Almost all of the parents found ways to support our classroom activities. A caring but very young mother who had three young, very active children was raising Larry. Larry’s father was incarcerated (although I was not supposed to know this. I discovered it by observing and listening to Larry when he was playing in the block center.) It was my hunch that Larry was pretty desperate for his mother’s attention and that he was anxious about his father’s condition. I couldn’t do very much about the situation with his father but I had an idea of how to somehow reach his mother. I set up a parent-teacher meeting and told her about my concerns for Larry. She was aware of his behavioral difficulties in school. She was living with the same behaviors at home and she, too, was at the end of her tether. It was my belief that Larry was craving individualized attention from his mother. He wanted her all for himself and that wasn’t happening. I came up with a plan that I shared with Larry’s mom and she agreed to find a way to uphold her part of it. My next job was to share the plan with the class. I managed to arrange for Larry to be out of the room and I called a class meeting. I told the children that I was aware of the problems that they were having when Larry lost control of his behavior and I thought that we could all help him to find better ways of dealing with situations that upset him. The children listened quite attentively as I told them of my plan. I said that I was going to tell Larry that I was setting up a point system for him. Whenever I noticed that he was having a good day, or part of a day, I would give him a point. When he got twenty points, he was going to get a special treat. (What I did not tell the class is that the treat was going to be a trip to the ice cream parlor with his mother…just him, not his sister, not his brother. Only Mom and Larry, having a special time together.) We discussed ways that they could help Larry. If they noticed that he was getting frustrated, they would step in to help him out. They would compliment him whenever they could. They would be sure to ask him to join in their games in the schoolyard and tell him what a good job he was doing at the game before he had an opportunity to lose his temper. They would find times to ask him for help if it was something they knew he could help them with. These were all ideas that the children came up with. That day I spoke with Larry about the point plan and told him about what his special reward would be. I told him that the class knew that we were doing this but that he was the only one responsible for getting the points. We were off and running. Everything worked out better than I expected! The children did all that they could do to make school life easier and more successful for Larry. With each new conflict-free day, I could almost see Larry’s tense body relaxing. The children felt so pleased with the way that Larry was interacting with them. Finally, Larry earned his 20 points. It was an exciting moment for him and for the class but a big disappointment followed. His mother told me that it was just too much for her to spend that time going out with him without taking the other two children. I just couldn’t convince her of how important it was. Somehow I managed to fudge some excuse but I suggested to Larry that we go out for a pizza lunch together and then go for an ice cream dessert. This seemed to make him happy. We told the class about our plan and everyone seemed quite pleased. We didn’t do the points again and Larry seemed to be having an easier time for the rest of the school year. Something between him and the other children changed and they appeared to become aware of how important their help was to him. I even noticed that some of the families were inviting him over for playdates after school. It took quite a while for me to resort to a point reward system in my work with Larry. We had many talks, time outs and parent-teacher meetings before I resorted to this approach. In retrospect, I think that this plan would not have worked if I hadn’t first spent so much time supporting the development of a strong classroom community. It was this community of caring children that helped Larry deal with some of his challenging classroom behaviors. A caring community and respect for each individual’s self-esteem – two essential goals as important as any other part of the curriculum in any early childhood classroom. This entry was posted in Investigating Choice Time: Inquiry, Exploration, and Play and tagged Acts of Kindness, Adele Schroeter, ADHD, Behavior management, behavior management charts, benchmarks, Bill Fulbrecht, Christina Rossetti, Common core learning standards, Connie Norgren, Dr. Laura Markhan, Finding Your Element, P.S. 142, Phyllis Allen, R.D. Laing, Responsive Classroom, River East School, Rob Catlin, Sir Ken Robinson, time out, time out chair on July 5, 2013 by Renee.